Give your seedlings a strong start with this seed compost. 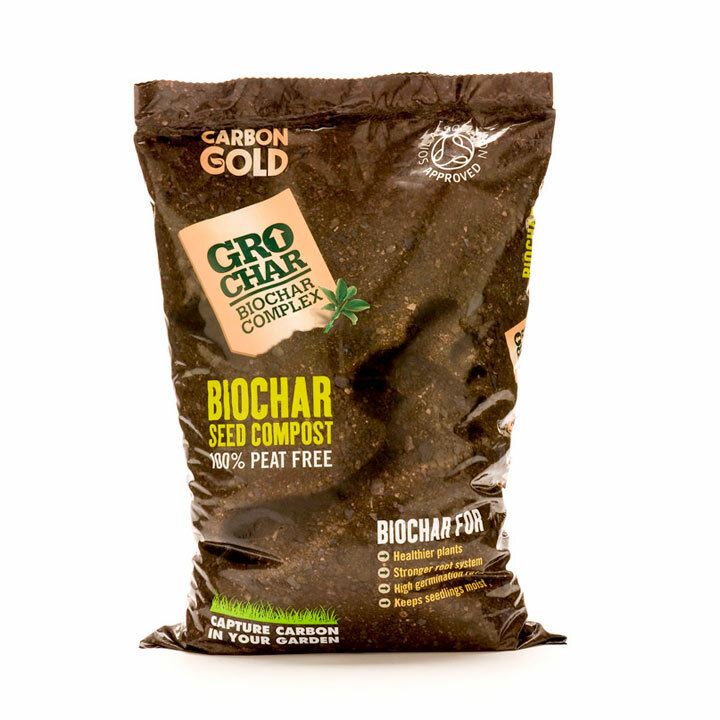 Containing Grochar, coir fibre and a mild blend of vegetable nutrients, it nourishes young plants and boosts healthy root formation helping them to 'take' quickly when planted out. Available: 8 litres or 60 litres.